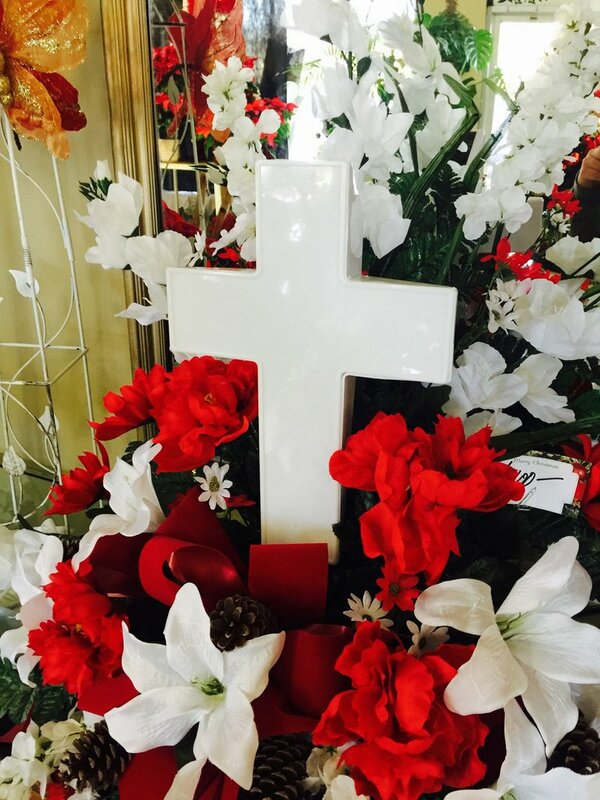 With its spectacular glow, this inspirational solar light cross will illuminate a grave, memorial, floral arrangements or your home memorial garden. 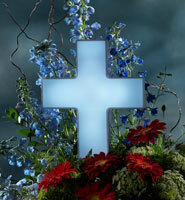 Solar cross lights can be added to floral arrangements or can be displayed alone. This solar light cross displays LOVE and PEACE for those we have lost. It is powered by the sunlight during the day and stays bright at night. This solar light cross comes complete with ground stake and batteries and is made to withstand most weather conditions. Floral arrangment not included.